This function allows to format multiple USB drives at a time. When you insert a USB drive which matches settings in the software, DiskGenius starts to format it automatically. Step 1 Click "Tools" menu and choose "Batch Format USB Disk" option. Step 2 Define specific conditions for formatting. Settings under "Select Target Disk" can be used to define conditions for USB disks you want to format. 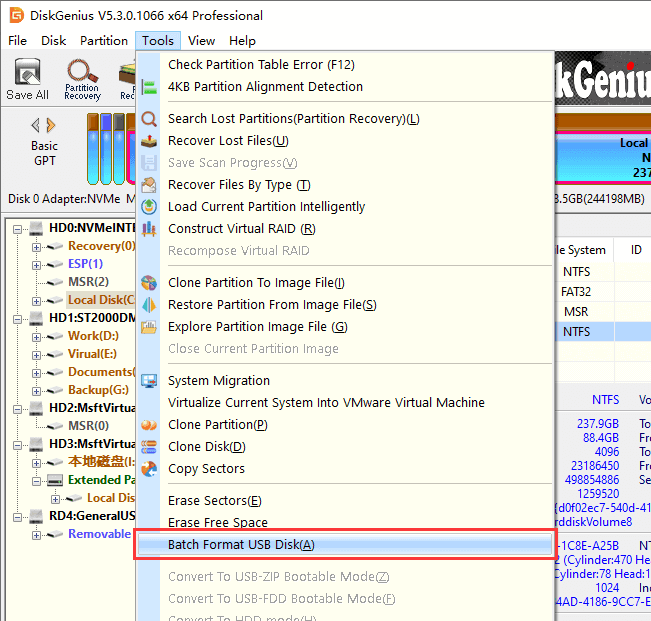 Only when the inserted USB disk meets all conditions you set up, can it be formatted automatically by DiskGenius; otherwise the disk will be untouched. 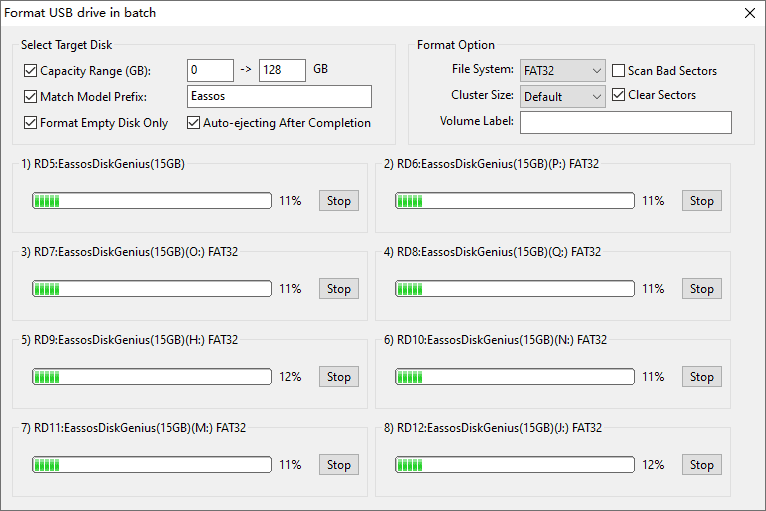 Step 3 Insert USB disks that meet conditions set in previous step and DiskGenius automatically formats them. The program can automatically eject drives when formatting is done.